Nourishment is a beautiful thing. Living in Southern California means I have access to so many types of foods from various cultures. Stepping aside from beauty & fashion, today I want to get into something very special to me — food. Food is something everyone has in common; we all eat! Today is all about food I'm grubbing on right now, essentially foods that I am totally in love with at the moment. 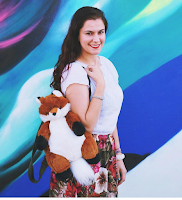 If you missed the last discussion on food, check out my latest post from the Feed Me series: Trying Food from Around the World. Chickpea Chips - The first thing on my grub list is something I love making as a snack. It's something I like to call chickpea chips. I'm still perfecting the recipe, but once I do I'll share it with you guys. Basically you take garbanzo beans & bake them in the oven until they become crispy. You can add any seasoning you want & it's a delicious alternative to your average chips. Bonus points because they're filled with fiber & protein. Rainbow Carrots - Let's be real for a moment. How stunning are these organic rainbow carrots?!? 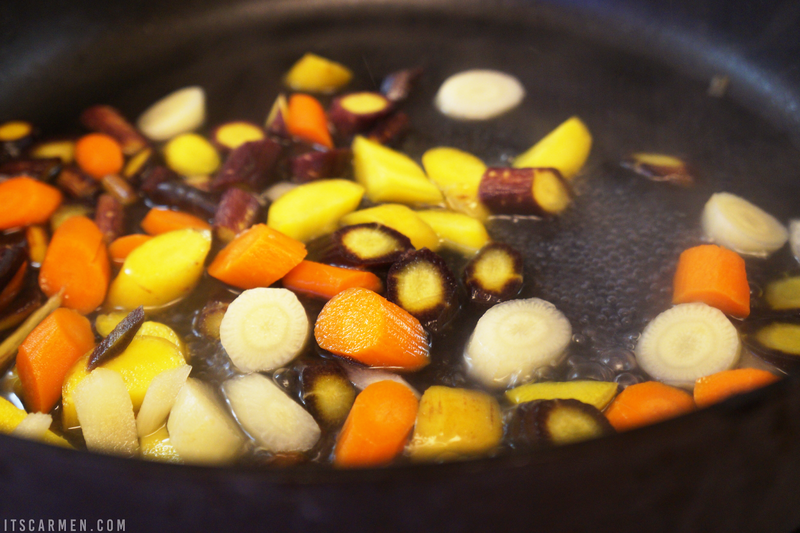 I get such a kick out of using them because they completely change the look of any dish with carrots. I spotted them at the grocery store & they were the same price as regular carrots. I figured I might as will mix it up & I haven't turned back. I've been using these for about a month now. According to this Time article, these colored carrots have different nutrients to help with digestion, heart disease, & more. Gordita - As I've mentioned a few times, my boyfriend is Mexican. Sometimes his mom surprises us with some honest to goodness genuine Mexican cuisine. It's a joy to have & I've been spoiled because no other Mexican food beats hers. This is a gordita, essentially a masa or corn pattycake. You could sort of think of it as a very thick tortilla. 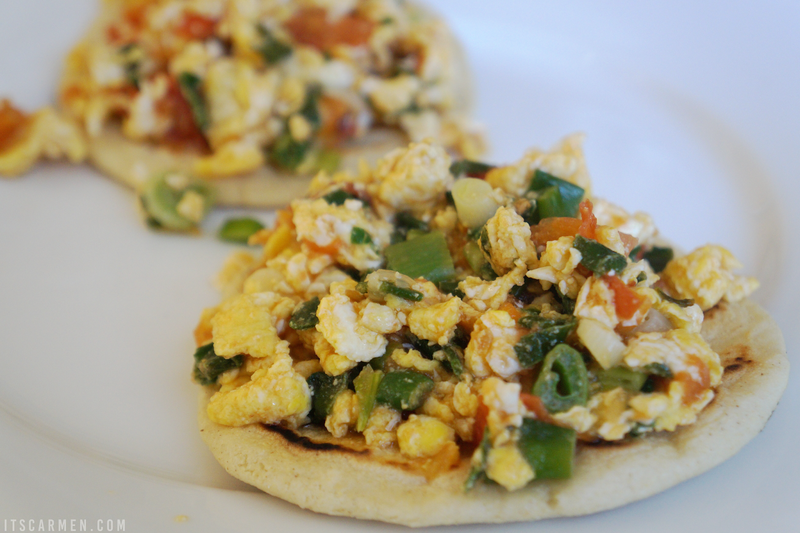 This gordita is topped with eggs, green chilies, tomato, & green onion. Yum! Since the beginning of the New Year I've been grubbing for veggies and fruits, which is soo not me! Thanks for sharing these delicious ideas. SHARING!!!! Ummm can I have all of these?? You're making me hungry!! So healthy and yummy, Carmen! I LOVE Mexican cuisine especially homemade. Omg chickpeas are my thing!! Love this post. 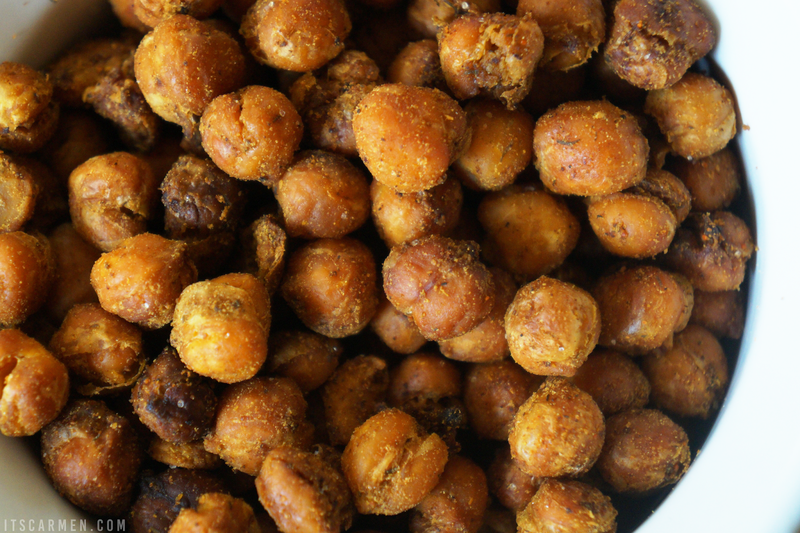 Roasted chickpeas are sooooooo good. I recently discovered them and now they're one of my favorite snacks! Thanks for sharing. I want to try the chickpea recipe when it's ready! I totally agree, food is the one thing that can almost always make me happy! Chickpea chips are absolutely amazing I love the flavors and the taste of them! Good choices here I'm glad we both share a love of food! Yum! I'd love to try some of these! Everything look delicious, specially the rainbow carrots! I love these healthy snacks! They look so good! Those chickpea chips look incredible. I'll have to try making it at home! Oh goodness this looks all so incredibly delicious! I must agree that Mexican food is simply so delicious, I could eat it everyday! Also the chickpea chips sounds amazing! Unfortunately I don't have an oven at my place but I'd love to try it one day! Oh my gosh these all look SO GOOD! I love the idea of chickpea chips!! I could live off of hummus so I'm sure that they are as delicious as they look! I love the name of rainbow carrots!! OMG, yummmm! Mouth is watering! I love Chickpeas, so these chips sounds delicious!! YUM! my MIL made chick pea flour tortillas since i'm grain free and they were delicious!